Last year I made the best purchase ever when I scooped up the Wilton Shot Glass Molds. The Shot Glass Molds made their first appearance at an Oktoberfest party - simple ice molds with Jaegermeister shots - and have been a party staple ever since. S&apos;mores shots - chocolate pudding shot glasses, marshmallow vodka and a graham cracker rim - were a bit hit. Tequila shots from lime flavored ice water glasses dipped in salt were quite dangerous, too. 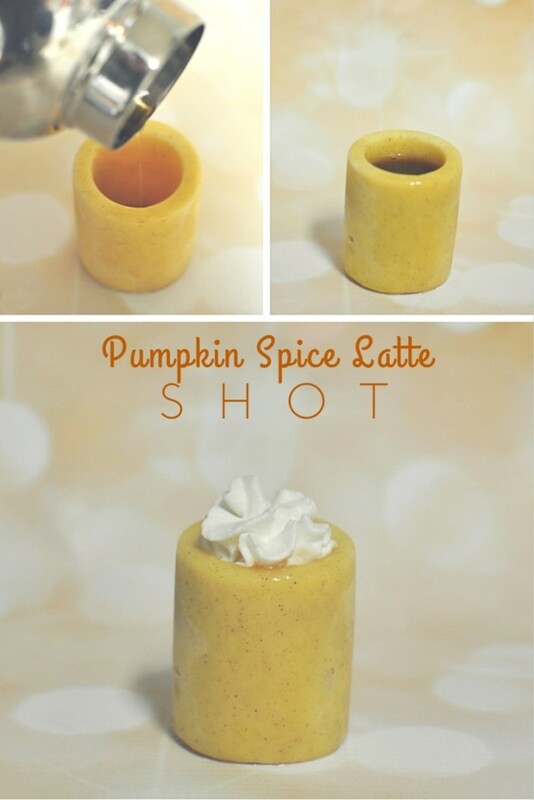 But, the biggest hit came this fall when I made Pumpkin Pie Spice and Pumpkin Spice Latte Shots. These are ridiculously easy and SO, SO good. First, you need to make the shot glasses. Prepare vanilla pudding according to the box ingredients, whisking milk and pudding mix until combined. Add in 1 - 2 teaspoon Pumpkin Pie Spice according to your taste. 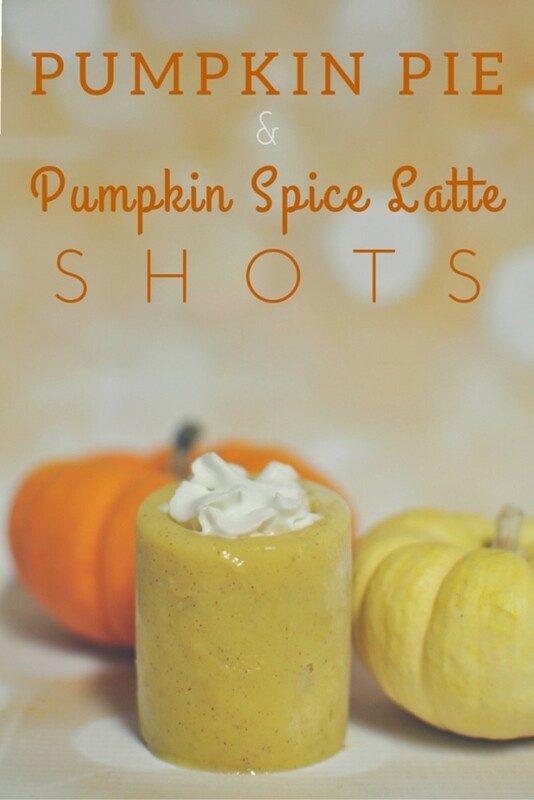 I like 2 teaspoons to make a really pumpkin-y taste and add some color to the shot glasses. FYI, One small box (like pictured above) is enough to make 8 shot glasses and the large box will make 16. 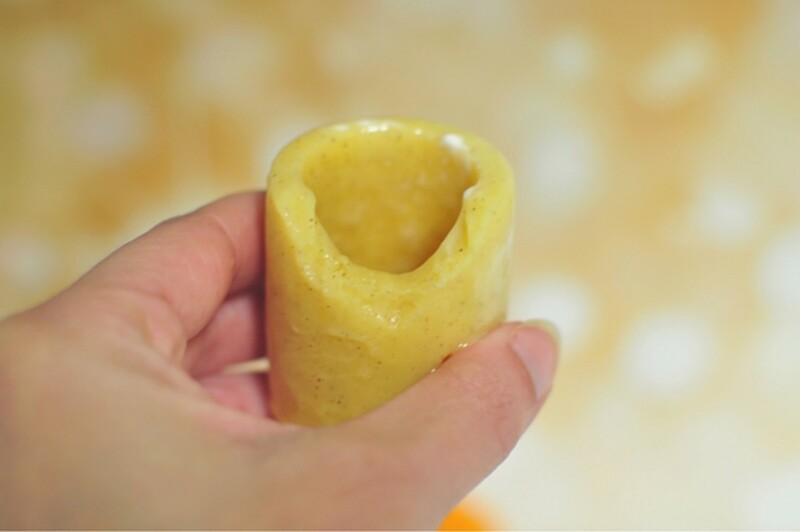 Fill the shot glass molds until full. 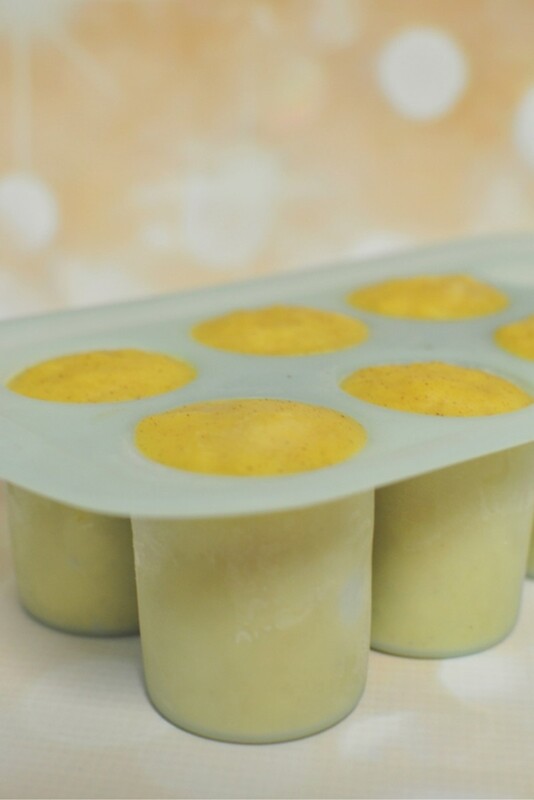 Gently shake and bump the the mold to make sure the pudding mixture settles so there are no air bubbles in your shot glasses. Freeze for at least 6 hours, but I find freezing the shot glasses overnight is best. 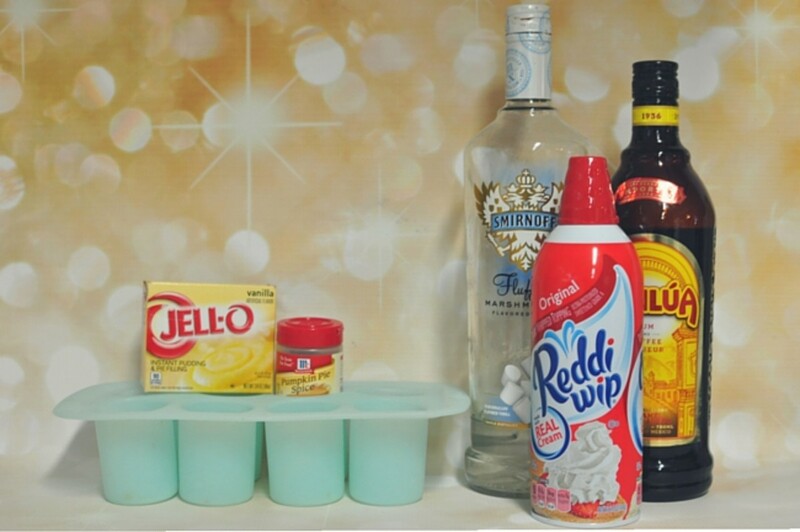 During party prep, remove the shot glasses from mold but leave them in the freezer until you&apos;re ready to serve. They will melt so you need to serve them as soon as you take them from the freezer. Shake marshmallow vodka with ice in a shaker to cool. Pour one ounce into the shot glass - or fill &apos;er up! Top with whipped cream. It doesn&apos;t get much easier or more delicious! Mix two parts marshmallow vodka and one part Kahlúa in a shaker with ice. Pour into shot glass and top with whipped cream. And the best part is each shot glass is edible. 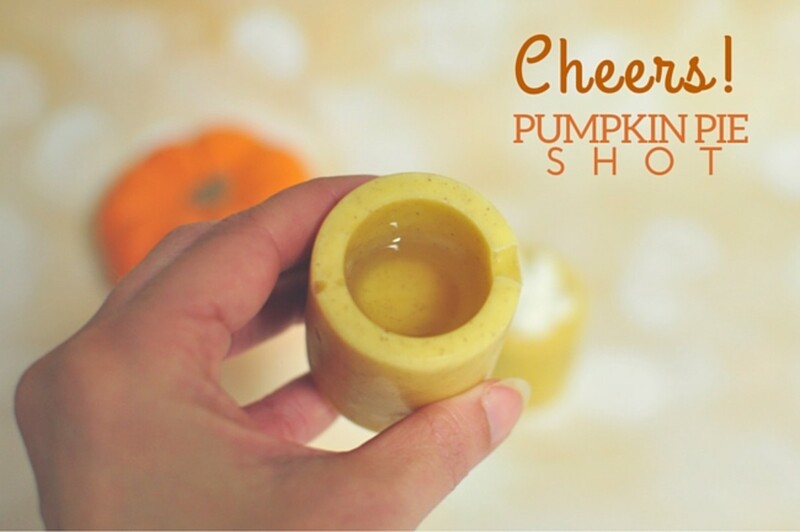 Chase your shot with a bit of pumpkin pie pudding!